I love Priscilla Hewitt’s work. She is so talented! The color choices in this square blanket are fabulous, you can really see the textures. 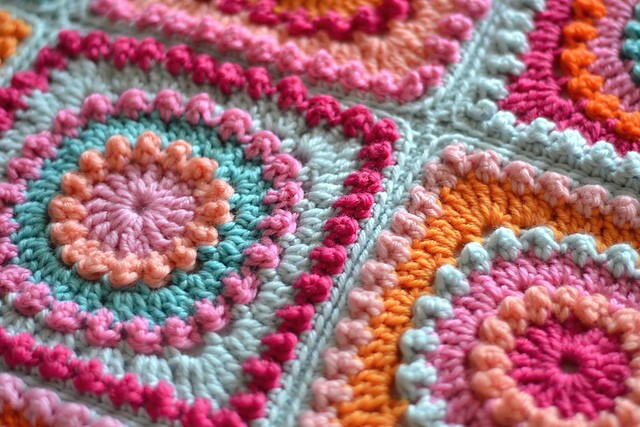 I found this bold, bright and very colorful blanket on dover and madden, lovely little knits for little people blog. 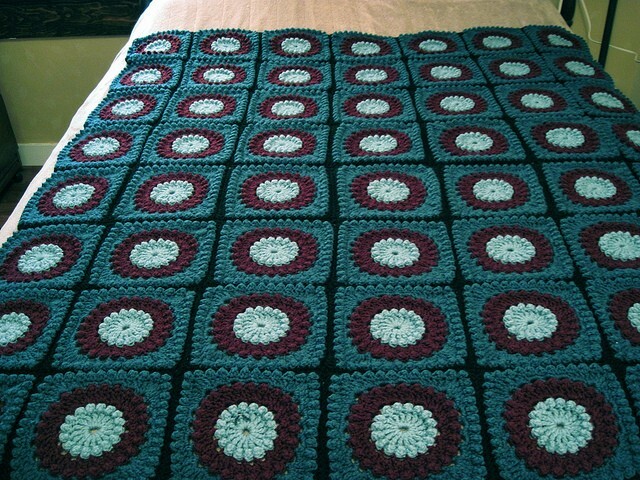 The pattern used to make this blanket is Circle of Friends Square by Priscilla Hewitt. Gorgeous, straight forward pattern,this square has the wow factor! Thanks to Vicki @ dover and madden for the article inspiration and featured image. I like this very colorful. Oh no, another beautiful square to make!!!!! These stitches are beautiful together! Need to make one of these!